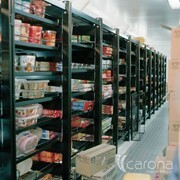 Shelving units for cool rooms, freezers,food and general storage. 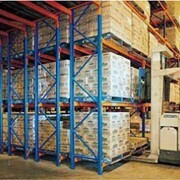 Suitable for warehouses, hospitals, restaurants and warehouses. 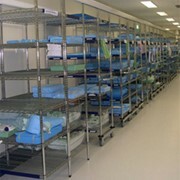 Length: 600 to 2400mm in 150mm increments. Width: 300, 375, 450, 525 & 600mm. 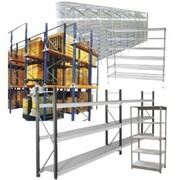 Height: 1350, 1800 & 2000mm. Beam lugs select two holes in frame for rigidity. 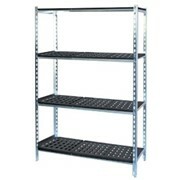 Steel mesh or moulded plastic shelves. 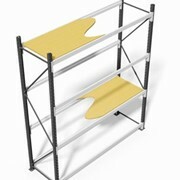 Zinc plated or stainless steel finish available.